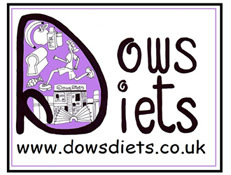 Dows DietsNewsDon’t Break Your Heart! As a nation we are suffering fewer heart attacks compared to 10 years ago. The reasons are unclear. It could be due to better treatment following a heart attack. It could also be down to more effective drugs to improve the risk factors of heart disease such as cholesterol and blood pressure. There is a greater awareness of the risk factors for heart disease such as; smoking, lack of exercise and an unhealthy diet. Obesity and diabetes however are 2 major risk factors for heart disease that are on the rise. Making changes to your lifestyle is difficult Professor Leslie admits it is easy to become overwhelmed with information. It is the little things that you can work into your everyday life that make a difference. If you weigh over 100kg (15st 11lbs) losing just 5kg or 11lbs can significantly reduce your blood pressure, cholesterol and risk of diabetes. You will feel the benefits sooner than you think. Measure your waist around your belly button, not necessarily where you trousers sit. If it measures over 37 inches for men and 32 inches for women, try to lose some weight and do more activity. Many GP practices participate in screening programmes to help patients reduce their risk of heart disease. Speak with your GP about your concerns and how they can help. Grahams GP referred him onto a specialist nurse who was able to guide him through what changes he could make to help reduce his risk of having a heart attack. He commends his wife for her support in making the changes and sticking with them.